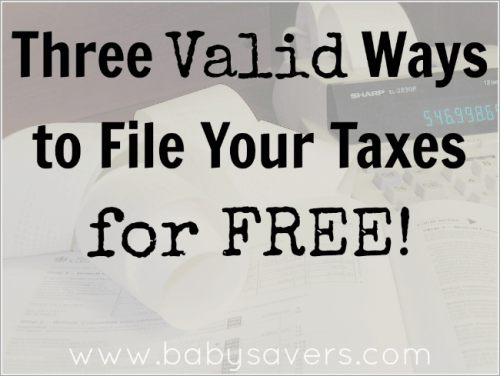 3 Legit Ways to File Your Taxes for Free! Taxes are due in just under two months. It's time to start sharing the best FREE methods to file your taxes and get that refund (or get the payment out of the way)! 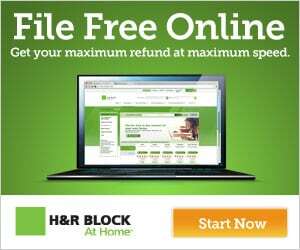 H&R Block is offering up their software that makes it FREE to prepare, file AND print your federal taxes! It's easy, and they actually guarantee that your results will be accurate. Turbo Tax will also let you prepare, file and print your taxes for free! They state that they'll lead you to your maximum refund! 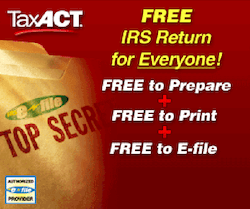 TaxAct is offering up FREE preparation, printing and filing of your federal taxes! I've used both Turbo Tax and TaxAct software in the past with great luck and absolutely no issues. Both are easy to use and I'd recommend either one: they both utilize super-easy, fill-in-the-blanks processes. The best part about all of these free tax filing options is that you can prepare you taxes using all three programs to see your refund (or payment), then actually file with the one that has the best results! Your Turn: Have you used Turbo Tax, TaxAct or H&R Block software?